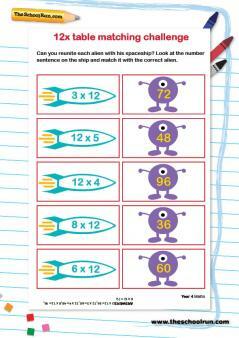 Tips and tricks to help you help your child master the "easy" times tables (5, 10, 11 and 12), plus worksheets, games and activities to put the learning into practice. Whether they learn them in KS1 (once they have mastered the 2 times table), or in KS2, the 5 and 10 times table are straightforward for most children, and the 11 and 12 times table come as a welcome relief after the tricky 7 times table. 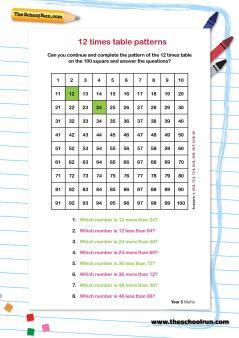 Read John Bald's general introduction to times tables learning before you start! 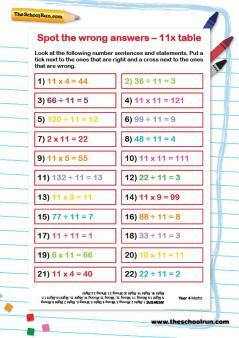 If children learn one multiplication table easily, it is almost always the 5 times table. The final digit is always 5 or 0, and this easy pattern makes it an excellent half-way point in tables learning. 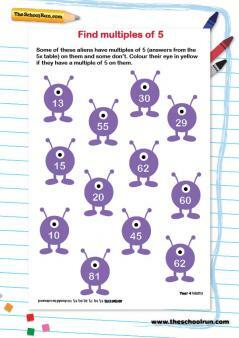 Teach fives as you have the other tables, practising if need be. Don't take it for granted, and don't go too fast – if your child makes a mistake, go back two or three steps. 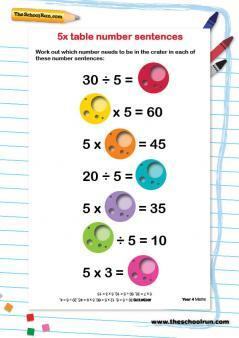 If your child does find 5s difficult, use 5 and 10p pieces as practical props to help them. Really just counting in the tens rather than the units column, and very easy. 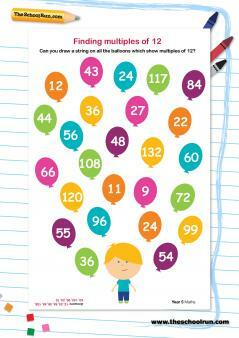 Continue to 12x10 to begin to build awareness of numbers over 100. Counting in both the units and the tens columns at once this time, and again very easy. Use coins if you need props, and once again continue to 12x11. 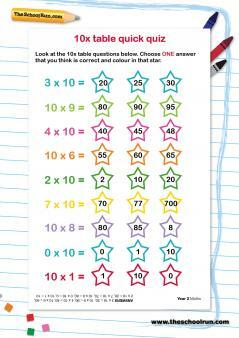 Counting in one column and applying the 2 times table in the other. The 12 times table isn't as easy as 10s and 11s, but neither is the largest table children learn in primary school the most difficult. This definitely repays practice using general times table learning techniques, and builds confidence once children know it. It is, after all, the biggest, and this matters to small children growing up. 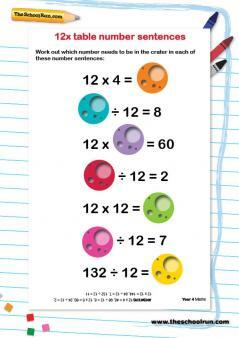 For a selection of times tables worksheets see below or look through our Times Tables Learning Journey. Read John Bald's guide to times table learning for more general advice about multiplication tables, or head to our Times Tables hub for more information, advice and practical resources.